Born 1921 in Slovakia, emigrated with his family to the Soviet Union when he was 4. Returned to Slovakia in 1938 and joined the CP. Fought with the resistance against Nazi Germany. Full-time official from 1949; sent to Moscow in 1955-58, where he became a supporter of Khrushchev. Although he had not participated in the opposition to Novotny, he was appointed his successor as First Secretary in January 1968. Attempted to persuade the USSR not to intervene in his reform program, and pleaded to the people not to resist the invasion when it came. Arrested, later released, and remained First Secretary until April 1969; expelled from the Party in 1970. 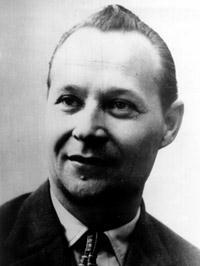 After the overthrow of Stalinism in 1989, Dubcek was hailed as a hero. He died in a car crash in 1992, and Gorbachev confirmed Dubcek's right to be recognised as the originator of perestroika. Philosopher and economist, supporter of Capitalism, lecturer in Berlin. Lost his position at the university as a result of a conflict with the authorities. Dühring represented an inconsistent form of materialism due to prejudice to idealism. He was a violent opponent of dialectics, Marxism, and was anti-Semitic. Engels wrote his Anti-Dühring in opposition to Dühring's ideas on science, which had found some disciples among the German Social-Democrats. He is chiefly remembered because of Engels's criticism of his views in Anti-Dühring: Herr Eugen Dühring's Revolution in Science. Marxist Humanist, born in the Ukraine in 1910 and moved with her parents to Chicago in 1920 to escape famine; expelled from the US Communist Party at age 14 as a Trotskyist; the first to decipher and translate Marx's Economic and Philosophical Manuscripts. Raya was a secretary to Trotsky for a time durng the 1930s, but she developed a position in opposition to Trotsky's "statism". She differs sharply also from "Marxist Humanists" like Fromm and Marcuse and from Lukacs, since from the beginning Raya took a clear stand against Stalinism. 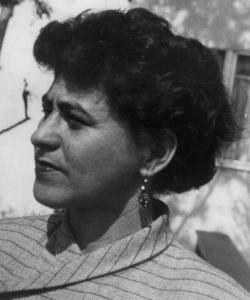 Raya was also the translator of Lenin's Philosophical Notebooks, and these notes were an important part of her political position throughout her life. In her final years, she developed criticisms of Lenin over Lenin's theory of the Party. Further Reading: Raya Dunyevskaya Archive. Son of business people, had higher education, became doctor of philosophy. Member of SPD (Sozialistische Partei Deutschlands, Social-Democratic Party) in 1893, journalist in 1903, travelling speaker, then in 1911 taught with Luxemburg at Central Party School. Member of internationalist nucleus in August 1914 and of Internationale group and then of Spartacus League. Member of KPD(S) Zentrale at its foundation, re-elected to it in January 1919, but not in 1920. Became Secretary of Independent government in Gotha region. Asthmatic, he then devoted himself to intellectual tasks and education of activists. Arrested in 1933, spent a year in concentration camp, managed to flee to Denmark in 1936. Reached USA in 1941. Opposed to German-Soviet Pact in 1939. Returned to East Germany in 1947, was member of SED, professor and dean. Duncker, Käte (née Doell, 1871–1953) . Teacher, Social Democrat in 1900, associated with Clara Zetkin, organiser of Socialist Women. Married Hermann Duncker, whom she won to socialism. Worked with him in internationalist nucleus, on Zentrale in 1918, where she was in charge of work amongst women. Elected to Zentrale in 1919, not re-elected in 1920. Held no more responsible positions after that. Emigrated to USA in 1938, and returned with her husband in 1947 to resettle in East Germany. One of the five Dunne brothers, three of whom were Trotskyists, best known for their role in the Minneapolis Teamster Strike of 1934. Editor of the militant labor newspapers, Industrial Organizer and Northwest Organizer. 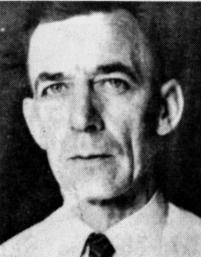 American Trotskyist and one of the main leaders of the Minneapolis truck divers strike of 1934 along with Farrell Dobbs and Carl Skogland. The five Dunne brothers were raised in an working-class Irish family that farmed in Kansas and Minnesota. In the 20's Vincent was a member of the IWW and the Communist Party, and then later, the Socialist Workers Party. Born in Lakshmi Naicken Patty village (Theni District, Tamil Nadu), son of a wealthy landowner. Owned a cardamom estate in Kerala and land in his own village. Joined Bolshevik Leninist Party of India during WWII and developed a group in the Theni area. Secretary, Bolshevik Leninist Party of India Madras Unit. Left the party after BLPI entered SP in 1948. Later joined CPI(M). Ran for Madras State Assembly from Bodinayakanur Constituency on CPI(M) ticket, 1967; narrowly lost by 1% of the vote. Moved to Madurai and opened a rooming house. Renewed connections with the Trotskyists. Started Samadarma Illakiya Pannai in Madurai to publish works by Trotsky in Tamil. Helped BMK Ramaswamy publish his 2-volume biography of Trotsky in Tamil (1989-90). Date of death not known. French sociologist who laid the basis for structuralist school in sociology; initially a follower of Comte’s positivism, Durkheim emphasised the need to study society as a particular kind of collective consciousness whose laws differed from the individual psyche, which develops within a social environment; emphasised population density, means of communication and collective consciousness as the chief factors in social development. Born into a poor Jewish family in Paris, Durkheim excelled at school and gained entry to the prestigious École Normale Supérieure. Meeting Jean Jaurès while boarding in Paris he soon abandoned his religous upbringing and developed reformist beliefs. At the École Normale he earnt a reputation as an extremely able and iconoclastic student. Graduating in 1882, he took a year's leave from teaching to pursue research in Germany in 1885, where he met Wilhelm Wundt, the experimental psychologist. In 1887 he was appointed to the University of Bordeaux, and taught social philosophy there until 1902, before returning to take up a position as a full professor at the University of Paris. Although Durkheim was familiar with a number of different languages, he travelled little and never undertook any fieldwork, his theoretical studies being entirely based on the reports of anthropologists, travellers and missionaries. Durkheim's mission was to overcome the broad and dogmatic generalisations which were characteristic of the founders of sociology, such as Auguste Comte and Herbert Spencer. But further, he found the unhistorical consciousness of the exponents of the second positivism of his time like Ernst Mach quite unsuited to the solution of the problems of sociology. Durkheim held that reality is understood only by means of concepts which are social constructions. 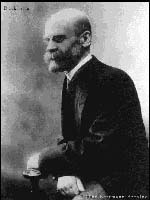 In his criticism of James' and Dewey's Pragmatism, Durkheim dealt with how socially-held beliefs (myths), which have no practical or scientific validity in themselves, may nevertheless constitute an approach to reality, and he rejected the pragmatists’ dismissal of truth as simply individual utility. The Second Empire, which collapsed after the French defeat by Germany in 1870, had seemed to Durkheim a period of levity and dissipation while he viewed the Paris Commune of 1871 as senseless destruction and evidence of the alienation of the working classes from bourgeois society. The bloody repression that followed the Commune was taken as further evidence of the ruthlessness of capitalism and of the selfishness of the bourgeoisie. The subsequent resurgence of nationalism and anti-Semitism convinced Durkheim that progress was not, as most Positivists of the time had assumed, the necessary consequence of the development of science and technology, but on the contrary, the growth of technology and mechanisation undermined society's ethical structures. Durkheim took an active role in the campaign to exonerate Dreyfus, who had been falsely jailed in a spate of anti-semitism, a step which brought considerable criticism down upon him. Durkheim made a study of suicide, and observed that an individual who was closely integrated with his culture, was less likely to suicide, and consequently, what appeared to be the most individual of actions, could only be explained through social forces. More and more, Durkheim focussed on education and religion as the two most important institutions required for stability while society underwent such deep transformations. His 1915 work on the totemic system in Australia also brought him wide recognition. The death of his only son in the war in 1916, on top of denunciations by people who took him to be German, broke his heart, and he died in November 1917. Durkheim left behind him a brilliant school of researchers including Claude Lévi-Strauss, who succeeded him in the chair of sociology at Paris. Born in 1896, Dutt was a leading figure in the Communist Party of Great Britain from the beginning and for most of his life. His father was an Indian doctor living in Britain and his mother was Swedish, a relative of Olaf Palme, a former Prime Minister of Sweden. A brilliant student, and unexpected cartoonist, Dutt was suspended from Oxford for opposing the First World War and, in 1920, joined the newly formed Communist Party. He founded and edited the magazine Labour Monthly—not an official Party journal—from 1921 until his death. Dutt married Salme Murrik, a Comintern functionary, early in life. He was a member of the Executive Committee of the CPGB from 1923 until 1965, and was the party’s chief theoretician for many years, being the author of many books. He also played an especially important role in assisting the Communist Party of India in becoming established in its early years. Throughout, Dutt was especially vigilant over loyalty to the Soviet Union. In 1939, when Harry Pollitt initially supported Britain’s entry into World War II, it was Dutt who was foremost on the central committee in arguing the line that the war should be opposed, which resulted in Pollitt’s temporary resignation as General Secretary. Dutt also differed with the Communist Party's opposition to the Warsaw Pact intervention in Czechoslovakia in 1968. By this stage, he had retired from party leadership roles but remained a member until his death in 1974. Higher studies in commerce. Conscripted into army during 1914–18. Joined USPD in 1917, journalist in Zeitz in 1918. Commissar of councils in Merseberg. Helped organise strike in Central Germany in 1919, deputy to National Assembly. In USPD Left, in Party’s central press service, joined VKDP (Vereinigte Kommunistische Partei Deutschlands/United Communist Party of Germany) in 1920. Supported Levi, expelled in August 1921. Joined KAG and then USPD and SPD (Sozialistische Partei Deutschlands, Social-Democratic Party) in 1922. Later fate unknown.